Google's Nexus 4 posterboy for Android 4.2 has already received the root treatment by XDA-Devs member HQRaja, it seems, as we were expecting and rooting for, pun intended. The Nexus line is one of the most heavily modified Android gear, so rooting the LG-made Nexus 4 is just the beginning. Now the floodgates of custom ROMs, modifications and numerous tweaks will open, squeezing the last breath out of the hardware and interface performance, and the Nexus 4 is no slouch, so we fully expect wonders here. Grab the insecure boot image by Harry GT-S5830 from this thread. Also download these root files. This package includes the latest SuperSU 0.98 (all credits to Chainfire), latest su binary that comes with it, and working busybox (not sure if latest). Extract the contents of the downloaded zip file to your computer. Connect the device to your computer via USB, and install the required drivers (Thanks Stryder5). You can also power off the phone and then use power + volume-down key combination to get into bootloader. Don't worry, this will not replace your existing boot image and will only boot from the insecure one once. You will now have root access. Tested and confirmed working by Stryder5 and many others. I think all Nexus phone should come rooted and bootloader unlocked out of the box , because most users are gonna root them anyway why dont google root them for us ? Besides , it could be used as a selling point . Why do we experiment with our android phones. I am so happy with stock touchwiz android on my S3. This makes me sad! The phone already has cool features. It's already blazing fast, why go to a rom? Because there is always something that can be tweaked out - sound, color, rooting...it is not a requirement, so if you question why? then it is not for you..and that is ok.
Why overclock if your phone is fast? (Exception: htc one series) why boost your screen when you have a 720p display? Why cyanogenmod? Buy a nexus. this is a nexus. durka. and again, its about options. a nexus lets us do pretty much anything we want... well.. some times we want more than pretty much. This is rooting a phone, not changing the ROM. Root gives us access to dozens of things without changing the rom. I have no intention of getting away from stock with stock updates. . however there are alwyas things to tweak. The manufacturer doesnt always know best. im about to root my 10 minute old nexus4. Why? Because there's things I want to do to it. I like stuff from touchwiz like the spiral gallery app on the note2. With an rooted phone I can add that and other things to my device and make it truely "mine" This is a first edition root method. If you give it a day or 2 there will probably be a "one click root" of sorts for those that are a lil more shy about doing such things. If only I could get my hands on a Nexus 4. On launch day, too many bottom feeders on Fatwallet and slickdeals made multiple orders to resell on eBay. Question - I had an AT&T phone I had rooted, and a newer Rom put in, that I use with Straight Talk. An AT&T update was pushed to the phone, and the update screwed it up. I had to have a new ROM put on. 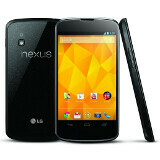 I am thinking about getting the nexus 4. If I rooted it would I have the same problem if an over the air update came, or is that only if you modify the ROM?